Firestone Air Helper Springs are exactly what you need to help your vehicle support heavy loads. At times when you need to pack your vehicle full, and haul sizable cargo, you shouldn’t have to worry about your vehicle’s suspension. With a little support from Firestone Air Helper Springs, no matter how robust the load you’re hauling, your vehicle’s suspension will always be even and handling will remain effortless. Whatever your suspension solution needs, Firestone Air Helper Springs come in a variety of models to accommodate you efficiently. 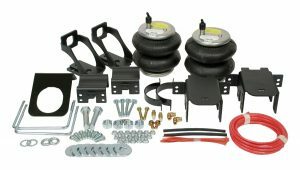 If you are noticing leveling and handling issues with your vehicle when carrying hefty loads, come into Ron’s Auto and RV today and we will help you decide which Firestone Suspension Load Leveling Kit is best for your needs. We offer sales, installation and repair services for all Firestone Air Helper Springs to ensure an easy, streamlined process to get you on the road faster. For those living in Vancouver, WA and the surrounding areas, Ron’s Auto and RV is here to offer you complete auto solutions for all of your vehicle’s needs. Ron’s Auto and RV knows how important it is for people in the Greater Vancouver, WA area to remain safe while hauling heavy loads. 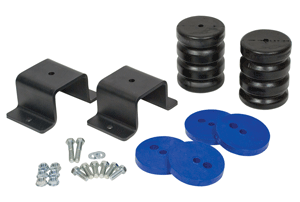 Let us help you maximize your safe load carrying capacity by coming in for a Firestone Suspension Load Leveling kit today.